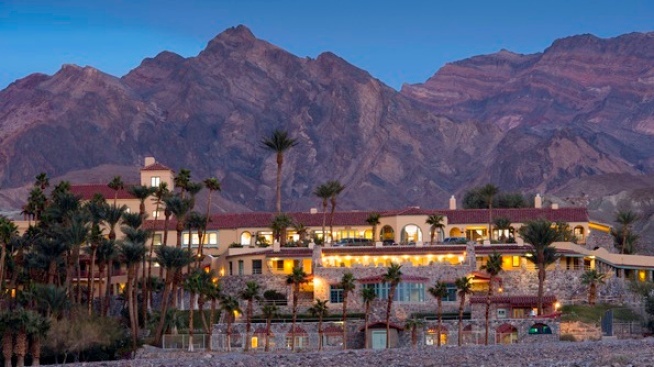 The Oasis at Death Valley, formerly The Inn at Furnace Creek, is about to "...undergo a massive renaissance." The Resort at Furnace Creek is transforming into The Oasis at Death Valley, complete with "a massive renaissance." THE OASIS AT DEATH VALLEY, with the Inn going by The Inn at Death Valley and the Ranch taking on The Ranch at Death Valley moniker. The Inn will "...undergo a massive renaissance" that follows "...a year of planning and months of permits, plans, and efforts," efforts that will add 11 two-room casitas to the current 66 rooms that fill the 1927 structure. The restaurant and bar, too, will receive a refurbishment, one that will include wooden floors and banquette seating. Oh, and above diners' heads: a new turquoise ceiling meant to "represent the sky of Death Valley." As for what's ahead at The Ranch? The public spaces will receive a burnishing, all in order to fashion more of a "town square"-type feel. Numerous other touches, both large and of the detail variety, will be applied at both Inn and Ranch, with Xanterra Parks & Resorts at the helm of the transformation. AS FOR OPENINGS AND SUCH? The Inn is now closed and will re-open near the end of October 2017, while The Ranch is open for the summer and, as is tradition, throughout the calendar. Work will be completed on The Ranch, it is expected, around April 2018. As for the golf course at The Oasis at Death Valley? That remains in place, with its newer mechanism aimed at "reducing water consumption," and should be ready for golfers in the spring of 2018. To follow along with the renovation, and to keep up on one of the American desert's great historic spreads, keep tabs on the new site for The Oasis at Death Valley.